There are now over 1 million Chinese people living and working in Africa. Some of the development they are doing is undoubtedly bringing economic prosperity to the region. But at what cost? I do love the amount of effort and media attention that is paid to China but it does get a bit tiresome when they constantly ponder whether China will take over the world (again). I am off to get a job on a Chinese ship…or in an African mall. 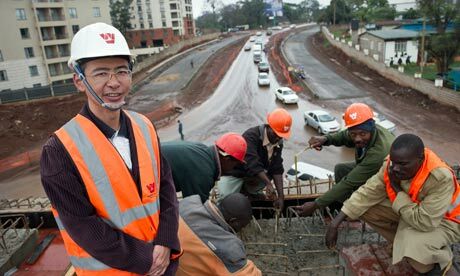 Interesting article in the Guardian about the spread of Chinese influence to Africa. Soft power takeover . . .